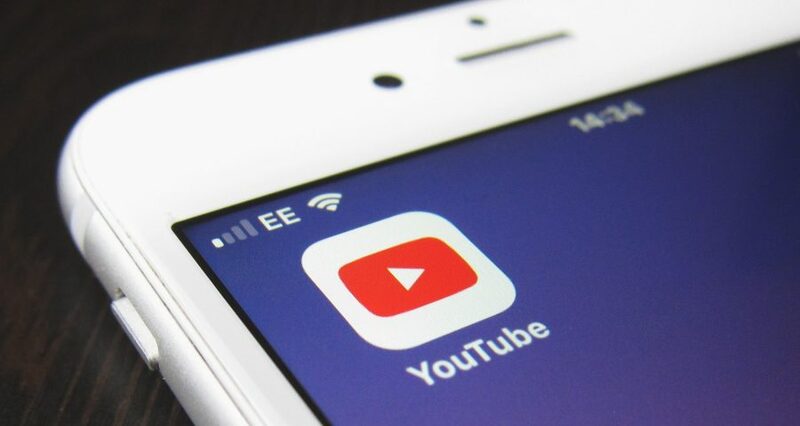 If you use YouTube on a regular basis, whether that’s for personal or professional purposes, you’ve probably noticed that the platform is being used in a whole range of different ways by its users. You may have also noticed that some of these ways are… ineffective. For every viral hit, there’s plenty of other videos that seems doomed to languish in obscurity, whether it’s due to technical problems (like an unappealing thumbnail image or a confusing title and description) or creative ones (some videos, let’s just say it, are boring). As recruiters flock to this site to attract passive and active job candidates, it’s increasingly crucial to avoid the kinds of pitfalls that lead to videos going unwatched. In this way, you can set yourself apart from the competition and come closer to winning the war for talent. First things first. Most video content is fundamentally about one thing: conversions. This means that no matter how high quality your production values are, and no matter how inspiring your message is, your content is not doing its job if it doesn’t lead viewers to take a particular action. This is why CTAs are such an important part of the YouTube landscape. They enable you to direct viewers to whatever web page bests align with your recruitment goals. If your video is recruiting for a particular position, users should be able to click an “Apply Now” link within your video that will take them to a landing page for that particular position. If you’re trying to attract candidates to the top of your funnel, your link should direct them to whatever page within your site signifies conversions. Without this step, your viewers will have to try and find your company on Google (to say nothing of the exact position within the company that interested them), which is more effort than many people will be willing to put in. Like we said above, most videos should aim for conversions of some kind. Depending on what part of the applicant funnel you’re aiming for, this might take different forms. Just as important as your ideal conversion, however, is the metrics you use to measure your success. We bring these things up in the same breath because many YouTubers still think of views as the end-all-be-all of success. And sure, having a large number of views is nice. If your only goal is to spread your employer brand and promote your EVP, a large number of views is certainly a good sign and something that you should keep track of. But if your viewers are watching the video and then taking no actions as a result, how valuable were those views? Instead of just tracking views, you could track CTA clicks, or even applications (Google Analytics should give you the ability to trace the number of applicants who are coming from any given video). In this way, you can begin to understand the true ROI of your efforts in terms of tangible recruitment success. One of the most daunting things about YouTube’s ads platform is the sheer variety of different ad formats. We have a more thorough overview of them here, but suffice it to say that which ad format you want will depend on what, precisely, your goals are—which can be a hard thing to figure out without guidance. Thus, if you’re working on a budget to target a very specific demographic for a particular job, you likely wouldn’t want a Bumper Ad (because it’s only six seconds long—not enough time to really entice your viewer to apply) or a PreRoll Ad (because they’re not skippable, meaning that you pay for every view even the viewer pays no attention to your content). Instead, you might use a TrueView ad. Why? Because it’s skippable, meaning that you only pay for the viewers who make it all the way to the end, making it much more likely that you’ll stay within budget while letting your target demographic partially self-select. Conversely, if you’re doing a big, general employer branding push, a Bumper Ad might work wonders, because it’s short, to the point, and non-skippable. We’ve talked a little about the pitfalls associated with how you optimize and measure your video content, but what about the videos themselves? How can recruiters be certain that they’re presenting content that will resonate with their target candidate personas? Perhaps the most important mistake to avoid is ignoring your current team. In recruitment videos, there is often an impulse to put leadership or management front and center, but in point of fact, it’s usually your coworkers who are capable of having the biggest impact on prospective applicants. Why? Because a video that highlights their hopes, dreams, aspirations, and day-to-day realities are the best way to give real context to your employer brand and your EVP. If, for instance, your company offers a set of exciting proprietary tools and the chance to learn new things about interesting topics, you can take that out of the realm of the abstract by letting your team speak about how these benefits have impacted their lives. By doing so, you give applicants a concrete story that they can associate with your business, making it much more likely that they will take the time and effort to really envision themselves working with your company. Okay, you might be saying, I’m avoiding all of these mistakes, why aren’t my videos going viral? Unfortunately, that’s just not a realistic expectation for most recruitment-focused content. Sure, you’ll see exceptions to this rule, and it’s worth creating content with the potential to go viral (assuming you don’t sacrifice meaningful employer branding content), but the problem with expecting videos to spread like wildfire across the web is that it obscures the hard work that goes into using YouTube for recruitment. It’s not about making a recruiting video and hoping to win the lottery with it; rather, it’s a matter of continually putting in the effort to get the right piece of content in front of the right audience. This doesn’t have to be a full-time job, but it does require attention—and by acknowledging that you’ll have to work for your ROI, you greatly increase your chances of success. About the author: Adrian Cernat is CEO and co-founder of SmartDreamers , a Recruitment Marketing Automation platform that empowers recruitment teams to smartly advertise jobs across the web. Integrated with Facebook, Google Ads, YouTube, Snap, Instagram, publishers, and niche websites, SmartDreamers streamlines the recruitment marketing processes.